The race to sign LeBron James is heating up, and we’ve never had more information to share with you here at LeBronWatch. We’ve already discovered that LeBron is destined to be a Laker, thinks Houston is garbage, will play for the Knicks with Paul George, will probably end up a Nugget, will stay in Cleveland and bring Kawhi Leonard to him, and has narrowed his list of destinations down to three teams. 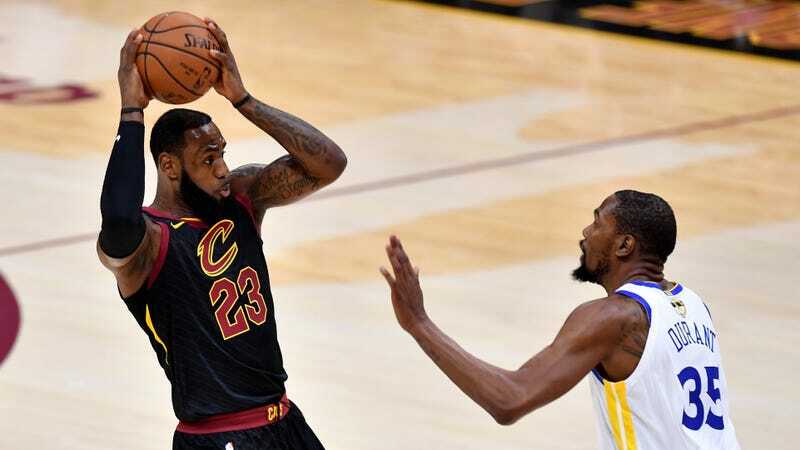 Now we have more breaking news to share, via late-night phone calls placed to Stephen A. Smith: LeBron is going to L.A. and he wants to bring Kevin Durant with him. So there you go. LeBron will be a Laker and he wants to be best friends and teammates with Kevin Durant.